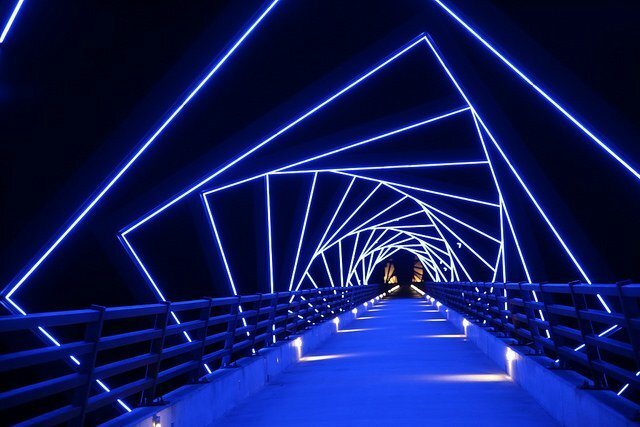 High Trestle Bridge. Photo by Carol VanHook/Flickr. The Federal government is closing in on every aspect of our society. Medical data is one of several key components required to make their collection and consolidation complete. Words mean something. They are not just utterance or grunts. Yet, we have been taught to swallow words without really considering their meaning. In this, the corporate and governmental propaganda machine has succeeded well. We give up our lives based on a kind of mass failure to understand what is really meant by a word or a phrase. Weapons of Mass Destruction, as an example, were sold to the public as absolute truth—truth backed by evidence. The result? Thousands of body bags and trillions of dollars spent on the longest war in the history of the US. The fallout? Utter chaos and America well into bankruptcy, borrowing and printing money to smooth over the eruption which is rumbling now under our societal feet. Evidence-Based Medicine (EBM) sounds like a noble and worthy concept. Only a foolish and stupid doctor would ignore evidence in making a decision, especially involving one’s life or death. Yet, EBM, enabled by the massive data capture called Electronic Medical Records (EMR) or even more overreaching, Electronic Health Records (EHR), is now being pushed down the throats of doctors by the government and their surrogates in order that they may receive Medicare benefits. Note the difference between Electronic Medical vs Health Records, a significant difference that should not be overlooked. EMRs are your paper charts in each specific doctor’s office that have been digitized. EHRs include those plus much more. EHRs are built to share all information about your health with others (that means the government, too) by containing information from all the clinicians involved in all of your care—including documentation for billing and reimbursement! Doctors are now actually penalized for non-compliance with EHR mandates, which requires filling out approximately 20 pages of information about each patient visit. The May 28, 2015 article, “Doctors Quitting Under Weight of Electronic Data Requirements, by Charles Krauthammer for the Gazette Xtra echoes what I’ve been saying for some time now: Doctors are becoming government agents. Physicians are leaving the practice of medicine in droves and many have a particular bitterness about the electronic health records (EHR) mandate. Under Obamacare, the benefits of EHRs were touted as being monumental. These advantages were promised: less paperwork, increased quality of care, financial incentives, increased efficiency and better patient care. Instead, there is antipathy brewing. EHRs are contributing to the opposite: lower quality of care and higher costs. Jeffrey A. Singer, a practicing surgeon based in Phoenix and an adjunct scholar at the Cato Institute, wrote an OP-ED, “Obamacare’s Electronic-Records Debacle,” that appeared in the Wall Street Journal in February 2015. “I am an unwilling participant in this program. In my experience, EHRs harm patients more than they help,” he writes. Doctors and health care industries that didn’t go electronic by January 1, 2015 have had their Medicare payments cut by 1 percent this year and that increases to 3-5 percent in following years. This is the so-called “financial incentive”. It’s more like strong-arming. Why was the ACA so determined to put into law a mandate that all medical providers that accept Medicare must adopt EHR by 2015? Why didn’t they, as Krauthammer suggests, trust the self-interested wisdom of individual practitioners, who were already adopting EHR on their own, to gradually, organically, adopt the practice as the technology becomes ripe and the costs tolerable? Here’s your answer: Because bureaucrats and politicians argued that EHRs would facilitate “evidence-based” medicine. What used to be termed, “the art of medicine” is gone. Instead, scientific application of healthcare decision-making is taking over the clinical judgement of doctors and their peers. You won’t be surprised that the term originates from insurance companies justifying paying for treatments. In other words, it’s the policymakers (i.e., Obamacare’s US Preventive Services Task Force, a panel charged with reviewing evidence and making recommendations for preventive services) who must determine whether the policy is justified by the evidence. The ACA language is steeped in reliance on EBM. In order for the government to handle the sheer volume of evidence, (especially clinical guidelines which is so monstrous it has become insurmountable) they rushed through the EHR mandate without any regard to practicalities in the field. What we are left with are inflexible rules, driven by faulty technology producing care that is management driven, not patient-centered. Doctors are data entry clerks. It’s a disaster! “My colleagues who have already left practice all say they still love patient care, being a doctor. They just couldn’t stand everything else.” By which he meant “a never-ending attack on the profession from government, insurance companies, and lawyers … progressively intrusive and usually unproductive rules and regulations,” topped by an electronic health records (EHR) mandate that produces nothing more than “billing and legal documents” — and degraded medicine. Or as Dr. Sandeep Jauhar wrote in “Why Doctors Are Sick of Their Profession” published in the Wall Street Journal last August: Most [doctors] said they didn’t have enough time to spend with patients because of paperwork… American doctors are suffering from a collective malaise. The median talk time between patient and their primary care doctor is minutes! In those precious minutes, the doctor typically is sitting at a computer, asking 20 pages of questions, ticking off checkboxes, all being done WHILE in discussion with the patient. I suppose this record keeping could be done after the patient visit, but that creates more work and deprives many doctors from skipping quickly to the next patient primarily because as reimbursement rates to doctors decline, the more patients they are required to see. So, let’s see. A few minutes to fill out approximately 20 pages of documents, documents that form the primary crux of Evidence-Based Medicine (EBM) comes out to seconds per page… while the doctor is also diagnosing you, writing scripts, giving instructions, answering your questions and setting up the follow-up visit. The resulting “data” is a major factor in determining the rules generated by the government and their insurance industry pals. Evidence, yes. But what is the quality of that evidence? Who stands to gain by relying on that evidence? The patient, the doctor or maybe the insurance cartels and the government, who base their payment scales on this kind of evidence. Don’t forget that the big bucks—the pharmaceutical money for drugs being prescribed during your precious few minute doctor visits—are often products which are fraudulently researched and approved by the FDA. Numerous drugs are brought to market based on bogus research and lack of mandatory post-marketing follow-up studies. This contributes to the evidence-based model of care guidelines. In April 2013, the National Institutes of Health (NIH) posted a Perspectives in Clinical Research study titled, “Fraud and misconduct in clinical research: A concern” (emphasis mine). Scientific fraud reappears with alarming consistency from paleontology to nanotechnology. Several studies have found that more than 40% of surveyed researchers were aware of misconduct but did not report it. Sheehan et al. reported in 2005 that 17% of surveyed authors of clinical drug trials reported that they personally knew of fabrication in research occurring over the previous 10 years. Quality at sites is usually judged by audits and inspections. There has been as high as 23% (official action indicated) for cause inspections conducted by US Food and drug Administration (USFDA) over the last several years. These kinds of results indicate that there exists a substantial problem. Fraud/misconduct can lead to study losing its entire credibility. Moreover, it can lead to ineffective or harmful treatment being available or patients being denied of effective treatment. Do These People Think We’re Stupid? All hail the new gods of medicine: EVIDENCE-BASED MEDICINE enabled by ELECTRONIC HEALTH RECORDS. These divinities force doctors to obey the government and the insurance mafia or risk losing their careers. More “evidence” of the deliberate dumbing down of the populace. As to the patient? Who cares? They are last on the list.